Given the popularity of TV shows like the great British menu and MasterChef, it’s no surprise to see that Microgaming decided to release a cooking theme slot! Indeed, in this game, you’re transported behind the scene of the most popular virtual French restaurant available online. Yet the chef de cuisine has more than a tasty bisque, a crème brulé, and a seafood platter on his menu. In fact, the Big chef is also cooking up Wild Symbols that you’ll see rise on the reels as you play. Plus, the chef is giving you the chance to win a whopping 10,000x your bet! So if this game whets your appetite, then waste no time and get your teeth into the full review we’ve prepared for you below. The greatest appeal to the base game is for sure the rising wild (stacked wilds). Indeed, every time a Wild symbol appears anywhere on the reels, it will rise, just like a good cake. Now, the number of tiles the rising wild will cover is completely random and yet it’s this functionality that makes for a thrilling game to play. Also, as you play, make sure to keep an eye on the fifth reel! In fact, landing a silver cloche symbol on the last reel will trigger a Free Spin! Undoubtedly, after landing 3 or more menu symbols, you’re in for a treat! Indeed, not only will you get an instant win with the Scatter symbols but you’ll also trigger 10 Free Spins with a 2x multiplier. However, it’s worth knowing that you cannot re-trigger the free Spins within the bonus itself. And this is probably because the Scatter symbol also pays players very well indeed! All and all, Big Chef is a very straightforward game to play. In fact, we’d go as far as saying that the game features are very simple to understand and yet make for an excellent slot. Because who doesn’t like to trigger a Free Spins bonus with multipliers? 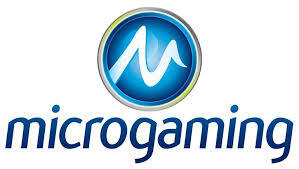 What’s more is that Microgaming paid particular attention to the graphics of this game since they all represent tasty dishes. But let’s not forget the soundtrack that helps to transport you right into a cosy French bistro! Big Chef Video Slot is a game that will appeal to all levels of players because the min bet is accessible even to those who are on a ramen noodle budget! Try it now and see what the chef has on its menu at any casinos listed on this page. Have fun!